Do you have a sump pump in need of repair? A sump pump is an excellent failsafe that can save you from major headaches as long as it’s functioning properly. However, it can only do its job as long as everything is working the way that it should. If you haven’t had a plumber come by to check yours for as long as you can remember, now might be a good time to have John’s Plumbing & Pumps, Inc come to your Puyallup property for sump pump installation or repairs. It’s better to find out if something is wrong now than to find out when it’s too late! 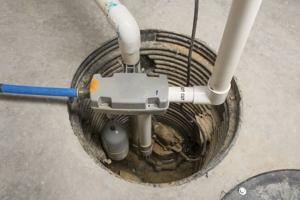 What exactly is a sump pump? A sump pump is any pump that removes water from a sump basin. Sump pumps are typically found in older homes in wet environments, usually in the basement or crawlspace. It keeps the area at the lowest part of your home or beneath your home from flooding, which helps protect against structural failure and mold. Can I test my sump pump on my own? If you know where your sump pump is located and how it receives it’s power, you may be able to test it on your own. There a couple of things you can try to test your pump. First, locate the outlet that the sump pump draws from and unplug it from the outlet. There should be two plugs here. After unplugging it, plug the one in for the pump and see if it comes on right away. If so, move on to step two. Next, run some water through the pump to make sure that it’s doing its job. It’s not enough to just hear it running; make sure that the water is actually being pumped out before concluding that it’s in good condition. 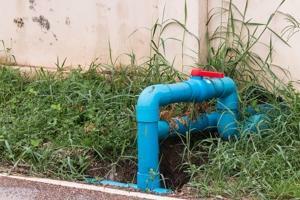 What if I find a problem during sump pump testing? If any of the tests fail–or if you’d rather have the professionals make sure it’s done right–you should call our plumbers as soon as you can to schedule a service. Even during the warm summer months, there’s always the potential for a massive influx of rain, and you want to make sure that it’s working in case of a flash flood. Our crew has over 60 years of experience working on sump pumps and other plumbing concerns, so call us before anyone else! Choose us for sump pumps in Puyallup and much more! With a versatile plumbing staff at John’s Plumbing & Pumps, we’re prepared to handle any plumbing issue you might have. We can handle the simple things such as clogged toilets or dirty drains, but we can also do more complex jobs too. Our team can even repair a bad sewer line or replace your entire plumbing system with the best materials to minimize the chance of any failure or defects in the future. And we stand behind our work, making sure all of repairs and installations are done right. Give us a call for all your plumbing needs and see the difference today!